Article: 5 lessons from Game of Thrones to get that coveted Promotion! Position yourself as an invaluable asset to the company and exhibit the qualities that you can learn from Game of Thrones, and you will be one step closer to that promotion you have been dreaming of. Game of Thrones, the super hit HBO TV series known for its adrenaline-inducing scenes, rich characters and mindless killings, probably already has you hooked to it and waiting for Season 6! But did you know that within the whirlwind of drama, action & emotions lie valuable tips for professionals who are looking to grab that next opportunity to get promoted? King Robert’s character in GoT is shown as the unstable king who falls victim to plotting and trickery against him. Although once a fierce warrior who had a lot of ambitions, he gets too comfortable in his position as on the Iron Throne and becomes complacent in learning new ways of reigning over the seven kingdoms with strength. To get that promotion, never stop yourself from learning about fresh approaches on how to get better at the work you do. Never take your eyes off the prize, which is, moving to the next level and always work on improving yourself. One of the famed dialogues in GoT by Tyrion Lannister, “A Lannister always pays his debts”, hides behind it an invaluable message for professionals seeking that promotion – always stick to your word. When you promise things at the workplace and do not deliver, it breeds a feeling of distrust and disrespect around you. Remember your seniors and bosses watch every step you take. To earn that promotion, when you say that you are going to do something, do it! In the intriguing series of wars in GoT, the Dothrakis could have been formidable opponents. However, the Starks and Lannisters are not afraid of them for one simple reason – everybody knows that the Dothraki are scared of the sea. This fear renders them powerless and unable to expand their dominion. To earn that promotion, you have to step out of your comfort zone. This will help you become more adaptable to facing challenges and difficult situations at work. Do not worry about shaking things up and getting innovative at the workplace. If you see an area at work that has been neglected and you have key skills in that area, propose to work on it. Even if your ideas are not accepted in this instance, you will have shown your creativity, potential and value to your workplace. This can only help you the next time there is a scope for promotion. After all, “Fortune favours the brave”. 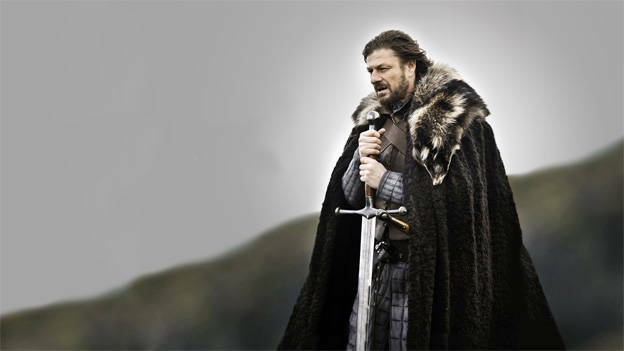 You keep hearing the Starks say “Winter is coming” in GoT. Throughout the five seasons, the Starks strive to keep themselves prepared for any kind of eventualities. In today’s dynamic professional set up, one needs to remain vigilant and prepared for the unexpected. Professionals who stay strong in the face of change and plan for the future are more likely to be selected for promotions. Learn to embrace ‘winter’, especially when professionals around you are unfocussed and basking in the sun. Varys, a spymaster to the king, explains how he was once a beggar but with his influencing skills and cunning rose to prominence, straight to a position in the Small Council. Cultivate your influence over time. In today’s interconnected and interdependent organizational framework where teamwork matters substantially, power lies with those professionals who have the ability to influence and get things done outside of traditional reporting lines. You get noticed as the person who senior management can depend upon to bring forward organizational developments. Promotions are not a given in this tough economy. Today, professionals need to create and manage their own career paths. However, simply showing up on time each day and doing your job isn’t always enough. Position yourself as an invaluable asset to the company and exhibit the qualities that you can learn from Game of Thrones, and you will be one step closer to that promotion you have been dreaming of. Sonali is an integral member of the Work Better Training & Development team. She heads the Trainer Empanelment and Project Management division.